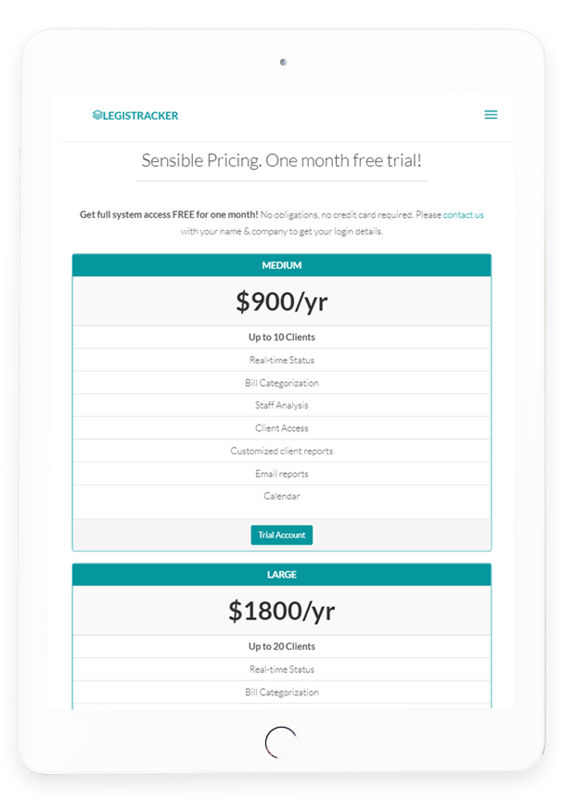 At Evince, we don’t believe in just delivering the product, we believe in delivering an experience. 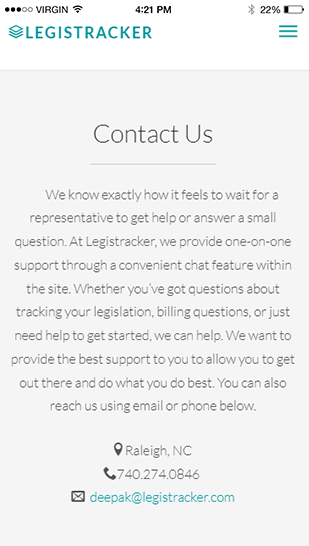 Are you are looking for an expert consultation to evaluate your idea? 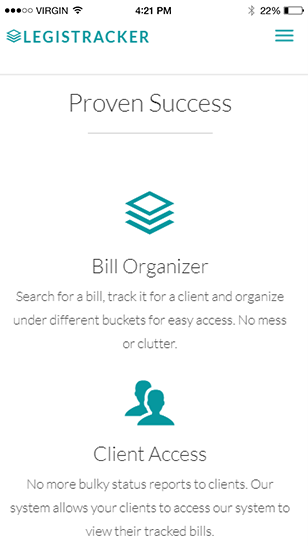 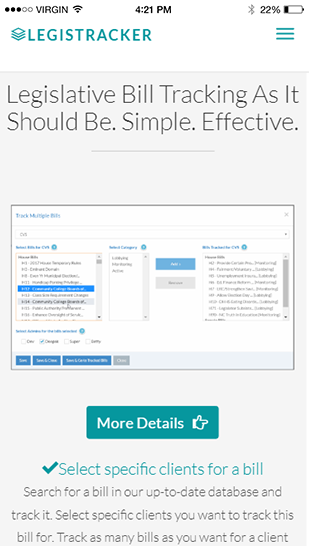 The software not only helps you to manage all your client’s bills with ease but it also helps you to keep a track of daily program and provides updates straight to your inbox. 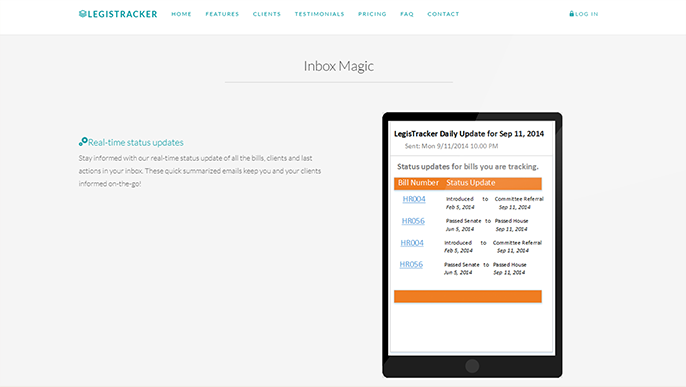 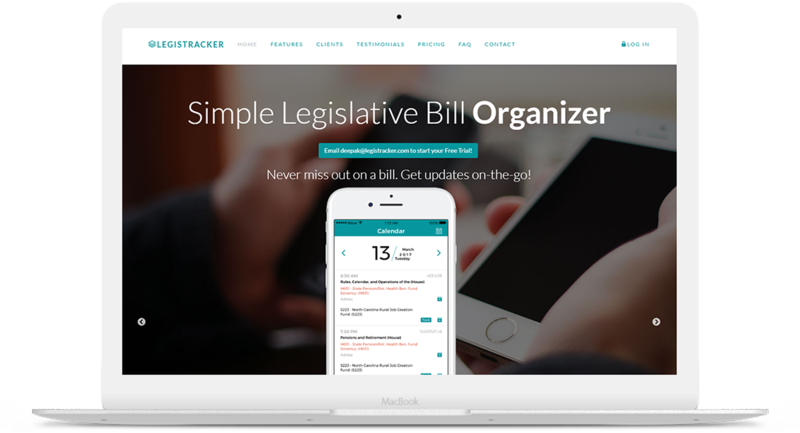 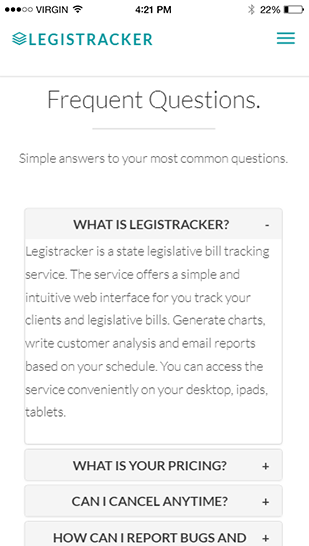 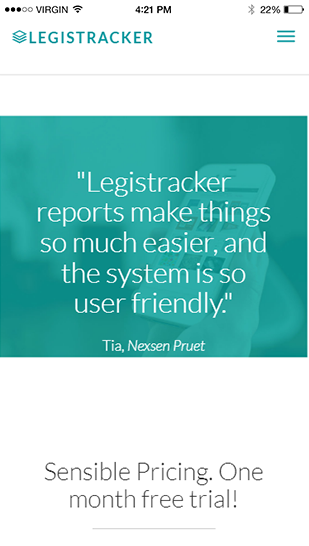 Legistracker is a complete solution for easy online monitoring of all aspects of your chosen legislation.